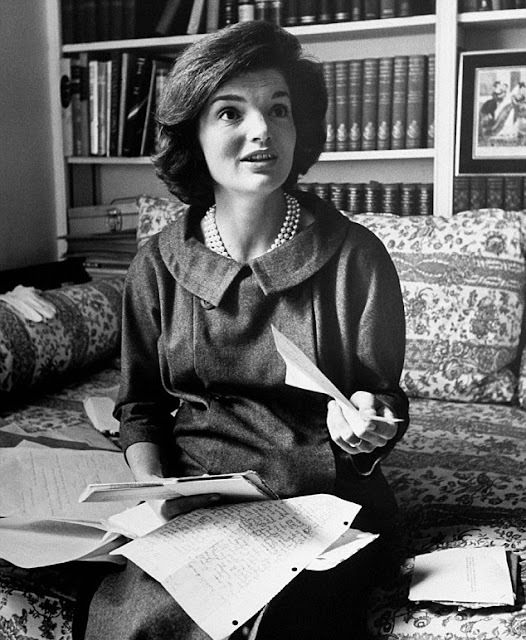 Jackie with her pearls and the mail, September 21, 1960. Time & Life Pictures/Getty Images. 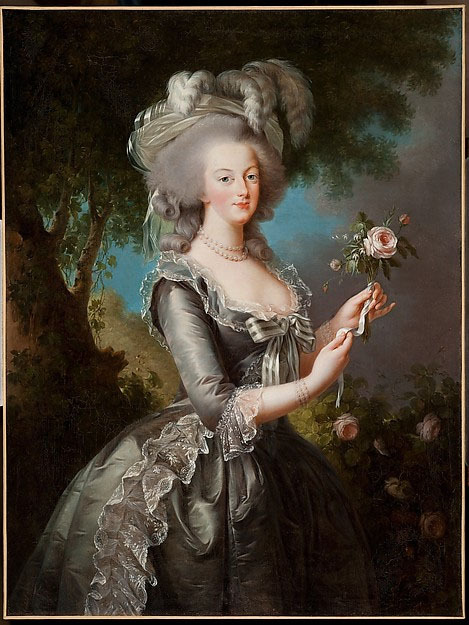 Back in February, when I saw the Vigée Le Brun exhibit at the Met, I was intrigued to learn that one of the portraits of Marie Antoinette, “Marie Antoinette with a Rose,” from 1783, is owned by Lynda and Stewart Resnick. A Marie Antoinette painting not on loan from Versailles? Owned instead by Americans? I didn’t know who the Resnicks were at the time, but a Google search said they were the owners of POM Wonderful, Fiji Water, Teleflora, and, for over twenty years, the Franklin Mint. I suddenly understood how they came to own such an important portrait of the last queen of France! 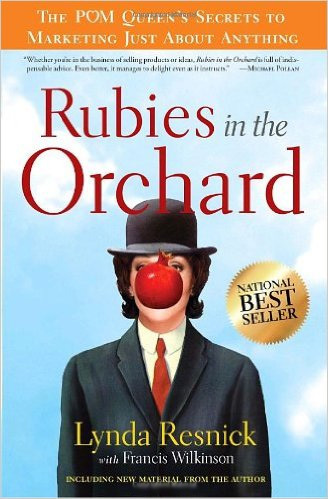 I decided to read Lynda’s book Rubies in the Orchard: How to Uncover the Hidden Gems in Your Business (with Francis Wilkinson). The 1783 Marie Antoinette portrait owned by Lynda and Stewart Resnick. A great business book by Lynda Resnick. The book People & Pearls: The Magic Endures by Ki Hackney and Diana Edkins says Jackie’s pearl necklace was by Kenneth Jay Lane, though that tome has several errors in it, so who knows if that claim is correct. If you have any confirmed information let me know in the comments. Wearing the necklace in India, 1962. Photo by Arthur Rickerby. “I spread photos across Stewart’s desk—Jackie in the pearls here, Jackie in the pearls there, John-John on Jackie’s lap pulling at those same pearls. John pulling at his mother’s pearls in 1962. One of the most famous pictures taken of the two of them! Getty Images. She goes on to write that the Franklin Mint made exact reproductions of the 139 European glass faux pearls, color-matched them to the originals, and had them hand-knotted on silk cords. 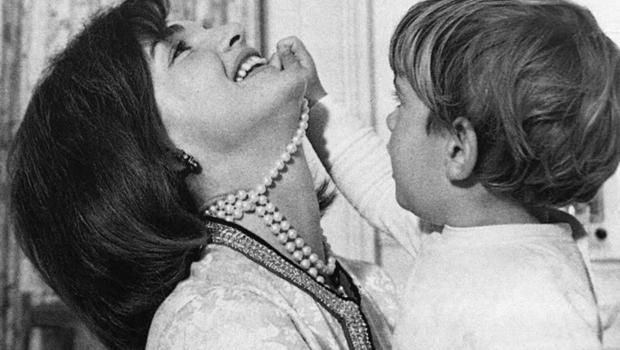 The Franklin Mint sold more than 130,000 copies of the pearl necklace at $200 each and grossed $26 million. How’s that for return on investment? 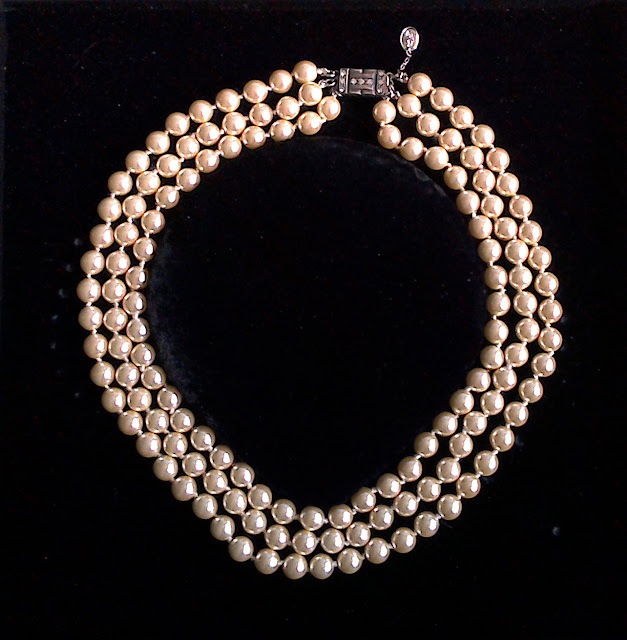 The Resnicks donated the original necklace to the Smithsonian Museum, where it is now part of the permanent collection. 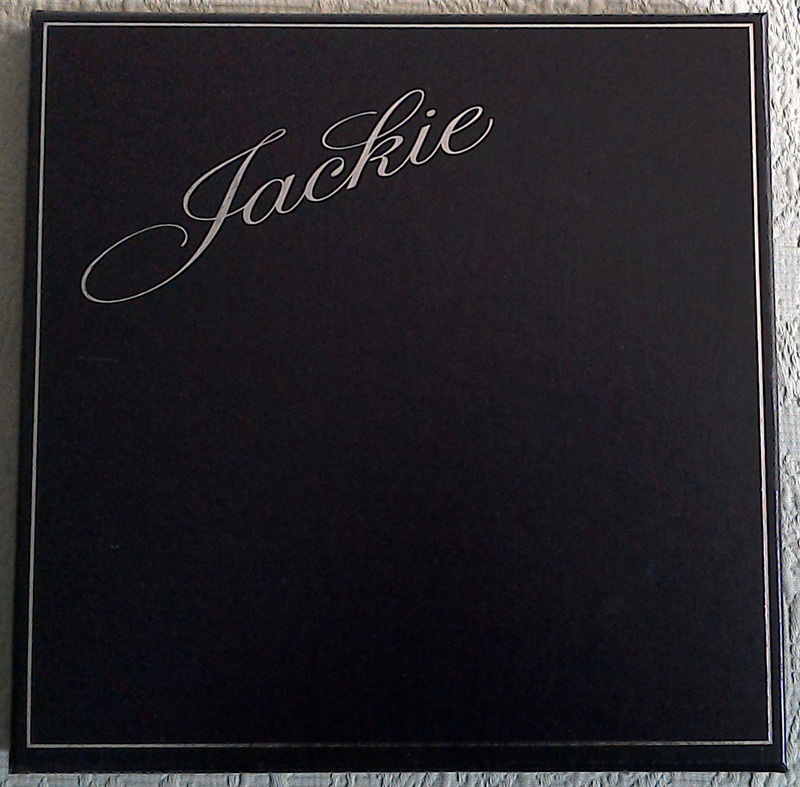 Jackie’s name scrolled across the front of the box. I did not buy a set from the Franklin Mint when they were originally released but I did just purchase them from eBay for only a few dollars more than what Jackie paid for hers back in the 1950s! They are heavy, well-made, and very elegant. 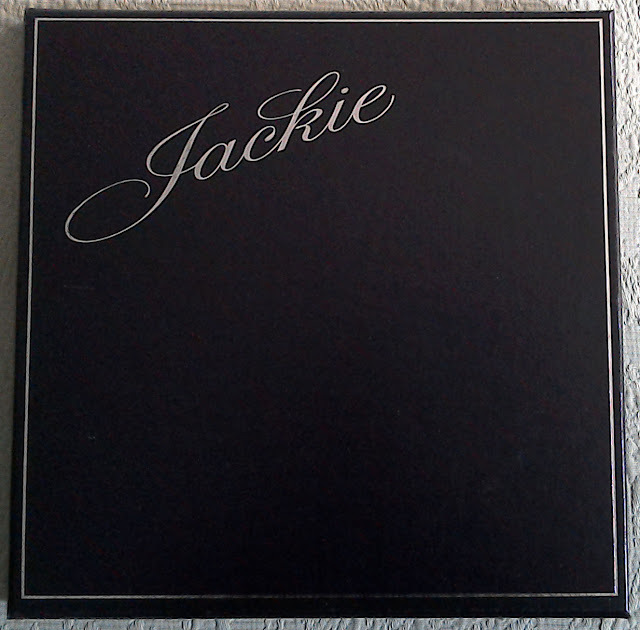 They came in a sturdy velveteen-lined box with Jackie’s named emblazoned on the front, and accompanied by a short pamphlet with photos showing Jackie wearing the originals, as well as a Certificate of Authenticity. I hope to get a lot of use out of them this fall and beyond! It was so interesting to read Lynda’s account of how the Franklin Mint acquired the originals and all the care and attention to detail that she and her team put into making a fabulous recreation. Thank you to Lynda and the Franklin Mint! A recreation of Jackie’s original necklace. A detailed shot of the clasp. 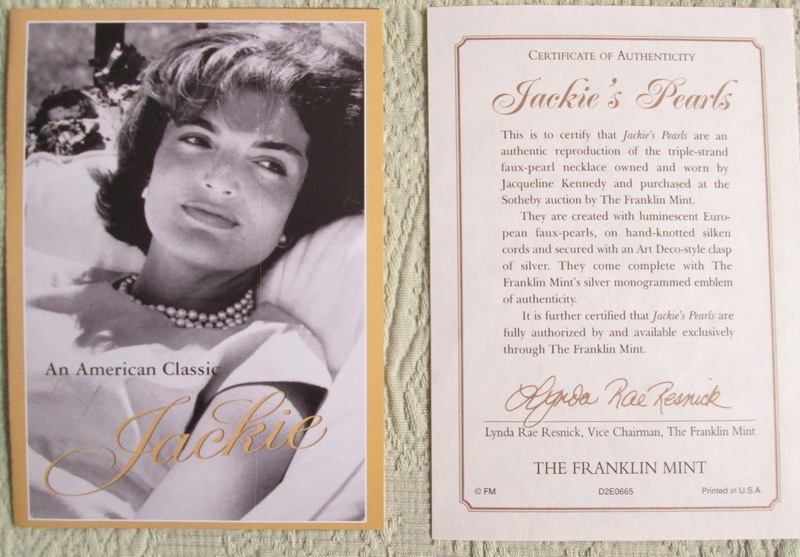 The brochure and Certificate of Authenticity that came with the pearls. Jackie during Pope Paul VI’s 1965 visit to the US. Photo by Henry Groskinsky. This summer I have really noticed how often pearls are worn by women of all colors and ages, from Olympic athletes in Rio to ladies walking down the street in Brooklyn, and how pearls never fail to make all of them look sophisticated, feminine, and beautiful. 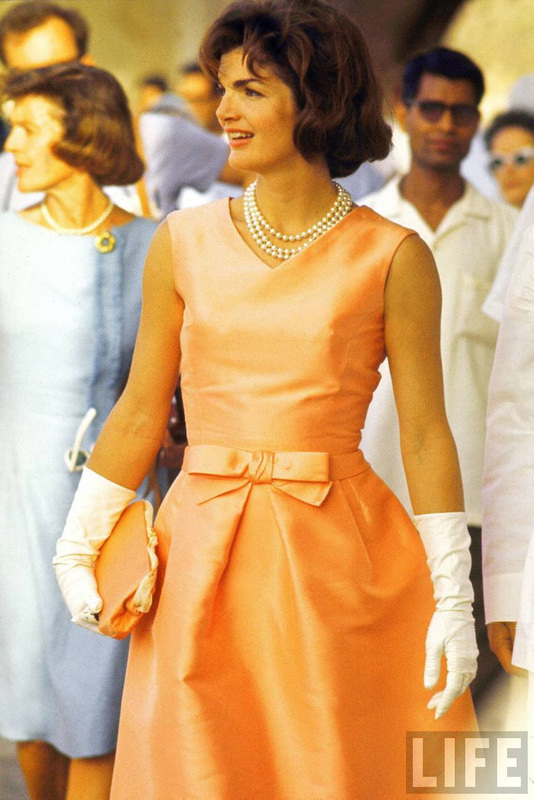 Jackie is famous for having said, “Pearls are always appropriate,” and her words are just as true today as they were when she was wearing hers every chance she got. Let me know if you happen to own this same necklace or have read Lynda’s book. Oh, how fabulous! I knew the pearls were faux but didn't know the story behind them. Would love to see a picture of you wearing them!! Your post was a reminder of what being chic & elegant really meant. Oh, how I miss it. I simply adored her - thank you for this lovely story. Thank you Jill for this post and the story. I was specially interested as I do have the same necklace. It was a present from a friend who live in Washington DC. In fact, I think I only wear one's when I received it. 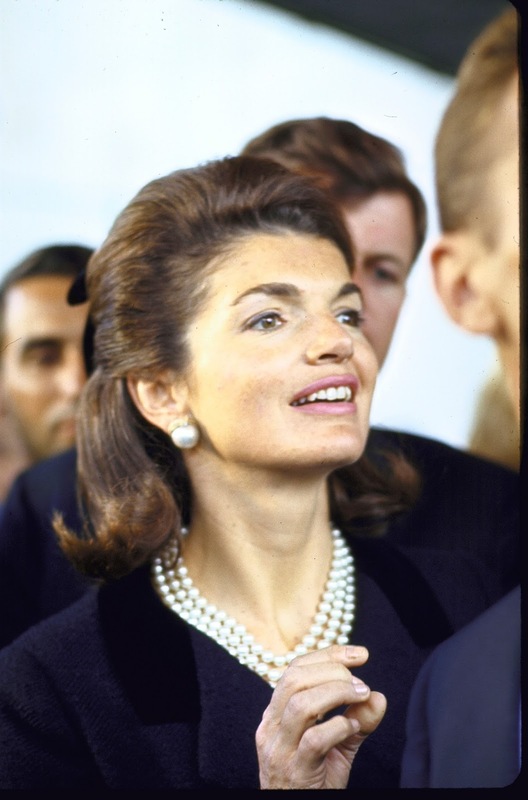 I had seen Jackie Kennedy necklace at the National Museum of American History, I told her how surprised that her necklace was fake pearl. So she give me the necklace her mother had bought. For me it was special gift because he came from her late mother. My friend told me that French wear pearl so I should have it. I use to treasure it for this reason only. After reading your post I went for the box and took out the necklace. I think maybe now thanks to you I'll be ready to wear it and will treasure it even more.